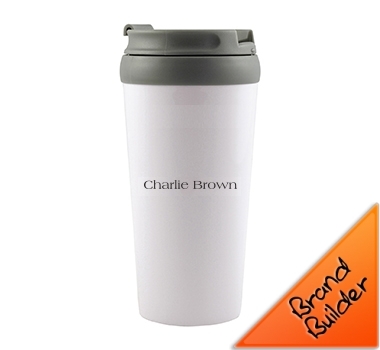 With a clean white body and contrasting grey screw lid the Eco Mug is made bio-degradable materials so is a green option for your next promotion. Holding 450ml it is a good sized product that is waiting for your logo to finish off the picture. Supplied in box made from recycled cardboard. We can supply you pricing instantly by calling 1300 303 717 or we will have 'Fast Quotes' (see RHS) back in less than 2 hours. 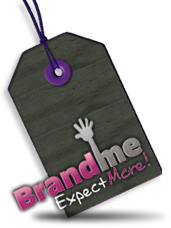 Here at Brandme we understand that you expect more: Best quality, best service and best pricing. We can provide this superior, tailored service only through quoting each product. 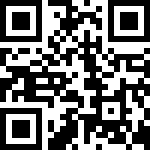 *This is the range of pricing from minimum supply quantity and upwards – includes decoration. Coloured paper cardboard noteholder with flags that gets the job done. A plastic unit with split metal keyring rotates and plugs into vehicleâ€™s power outlet to charge USB-powered devices. Plug this LED flashlight into the USB port of your computer or power bank for an instant light source. Smart cardboard box which flips open to reveal a handy desk set. Environmentally friendly fabric place mat made from recycled PET which is manufactured from used water bottles. Can be wiped or washed and reused.